911 Restoration Jefferson County is here to assure the community that in the event of a disaster, we will be there for them in their time of need. We are more than a restoration company; we are bringers of a fresh start for everyone. In our eyes, everyone deserves a second chance, and we are here to guide you to a world of renewed hope. You can call us at any time because we are available 24/7/365, and for the most severe emergencies, we will be at your door within 45 minutes with same day service. We are water damage restoration certified by the IICRC to handle indusial grade pumps that would be required to remove a large amount of water like described above. 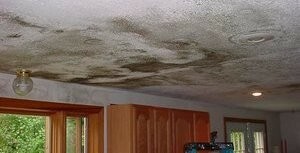 Even if you are just curious about what the cost of restoration is, call us for a free water damage estimate. We do everything we can to bring you an invigorating tomorrow, so that you can spend less time worrying, and more time enjoying your life. Call us now for expert care you can rely on. Disaster restoration in Jefferson County requires the expert care that is only provided by John Fowler’s team of expert technicians. They are IICRC certified in order to best fulfill the needs of homeowners after facing home accidents. During an incident, homeowners may discover that a water main has broken, or a water connected appliance has failed. 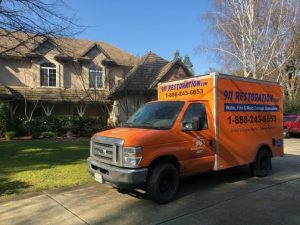 This could result in gallons of water infiltrating the home at a high rate, which is why it is important to call our disaster restoration Jefferson County team. The key to getting locked moisture out of things such as carpets, or crawl spaces, is constantly lowering the ambient humidity to speed up the drying process. Additionally, our disaster restoration team knows how to use tools such as blowers, dryers, and dehumidifiers. Ventilation is needed to remove old stagnant air, and bring in fresh air that will continually allow water to evaporate out. 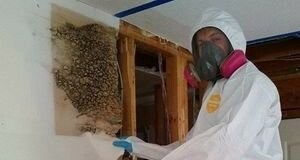 Water damage remediation during disaster restoration is pivotal in ensuring that future problems such as a mold infestation cannot occur. Moreover, it also will keep microbes from proliferating and causing unbearable odors. 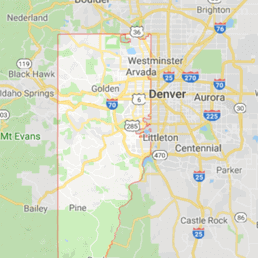 Jefferson County, you deserve a restoration team that is knowledgeable and skilled in bringing you stability, so call our disaster restoration experts with 911 Restoration Jefferson County today! Disaster response is time sensitive, so it is pivotal that you understand how to react to one in the event of it occurring. Flooding makes up for 33% of all homeowner’s insurance claims in the country, so it is important that you become familiar with what commonly results in flooding in order to better assess the type of action-plan required. The caring team here at 911 Restoration Jefferson has aggregated a list to better help you curb the cost of a disaster. Know where your water shut-off valve is. In the event of a pipe burst or sewage backup, turning the water off will prevent further damage from occurring. Moving water is harder to freeze than water in motion. Maintenance is cheaper than restoration, so actively check your home constantly for leaks; whether it is exposed pipes or hoses to appliances connected to utilities, repair it as needed. Furthermore, avoiding something like a pipe burst relies on keeping pipes thawed out, as frozen water expands. Allow warm air to circulate around water lines, and keep a faucet open during the winter. If you experience any type of disaster, call our disaster restoration Jefferson County team with 911 Restoration Jefferson County to get you back to a fresh start today!